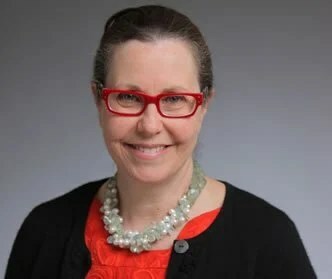 Deborah Axelrod, MD, a board certified surgeon who specializes in breast diseases and breast cancer, is director of Clinical Breast Programs and Services and medical director of Community Cancer Education and Outreach at NYU Clinical Cancer Center in New York City. She is also the Kanas Family Foundation Associate Professor of Surgery Oncology at New York University School of Medicine. Dr. Axelrod earned a bachelor’s degree from University of Pennsylvania (1978), followed by an MD from the Sackler School of Medicine at Tel-Aviv University in Israel (1982). She completed her pos-grad years 1-3 in the department of surgery at Beth Israel Medical Center in New York (1982-1985), followed by a visiting residency in the department of surgery at Cleveland Clinic Foundation (1984). Dr. Axelrod completed her surgical research fellowship in the department of surgical oncology at Memorial Sloan Kettering Cancer Center in New York City (1985-1986). Lastly, she completed her post-grad year 4 and chief residency in the department of surgery at Beth Israel Medical Center (1986-1988). Currently, Dr. Axelrod is on the editorial board of the American Society of Clinical Oncology website, www.plwc.org (People Living With Cancer), and the NYU Cancer Center News and Views. Prior to her current work, Dr. Axelrod was chief of the Comprehensive Breast Center at Saint Vincent’s Hospital and Medical Center in New York. She is a member of the New York County Medical Society, New York Surgical Society, American Medical Association, Israel Medical Association, American College of Surgeons, Association of Women’s Surgeons, New York Academy of Medicine, American Medical Women’s Association, Metropolitan Breast Group, American Society of Breast Disease, and Society of Surgical Oncology. In addition, she is a member of the medical advisory board of the Susan G. Komen Foundation (North Jersey Affiliate), the medical resource council of Gilda’s Club, the medical advisory board of the Young Survival Coalition, and the medical advisory board of Judges and Lawyers Breast Cancer Alert. Dr. Axelrod has been published in numerous journals, including Cancer, Clinical Pediatrics, Manual of Oncologic Therapeutics, Contemporary Surgery, Oncology, Annals of Surgical Oncology, Journal of Surgical Oncology, The Breast Journal, Journal of Nuclear Medicine, Clinical Breast Cancer, Primary Psychiatry, American Journal of Surgery, International Journal of Surgical Oncology, Lymphology, Anticancer Research, and Clinical Cancer Research. In 2012, Dr. Axelrod received her sixth STEP grant from the Susan G. Komen Foundation (as Principal Investigator) for outreach in the Arab American community. Dr. Axelrod received a Synergy grant from the Department of Defense (as co-investigator) looking at innovative ways to reduce breast cancer in women who have been diagnosed with high risk lesions in the breast, and is a co-investigator on a current DOD expansion grant looking at the effects of SOM230 in DCIS lesions. When did you first decide to become a physician? I came to the decision when I was in my last year at Penn that I wanted to be a doctor. I was a chemistry major and working on a master’s degree in physical chemistry in a laser lab. The project I was working on was a joint collaboration with the Hospital of the University of Pennsylvania. What more can I say? I fell in love with the medical questions we were asking. I went to the Sackler School of Medicine at Tel-Aviv University. In 1982, the school was only a year old. I had been to Israel many times before and fell in love with the country. Being able to live and learn there and come away with an American medical degree was a gift. What surprised you the most about medical school? I was most surprised by the strong sense of humanity, both in and outside of class. For instance, we brought flowers to the anatomy lab to respect the integrity of the body and the men and women who gave their permission for their bodies to be dissected for medical education. This is a very delicate subject in Jewish law. We were also invited to homes of our Israeli counterparts. The American class was small- only 40 of us. We learned to speak Hebrew together. My Israeli friends were flight surgeons and soldiers and we had a common goal-we were all committed to receiving the best education and becoming the best doctors. The tests were oral. There was a lot of interaction with the professors and many had immigrated from other countries where they were persecuted. Some had syndromes named after them, written textbooks and some had trained under very famous doctors and scientists. The didactic courses were taught in English and the last two years were spent out of the classroom- and my experience ranged from working with Dr. Robert Hermann (Physician in Chief at the Cleveland Clinic) and one of the pioneers of breast conserving surgery in the 70s and 80s. He gave me very good personal advice about balancing work life and personal choices. I worked with a South African doctor amongst Libyan cave dwellers in the outskirts of Tel-Aviv, as “country doctors”- we went to them. My experiences out of the classroom were varied and looking back on this very exceptional. I worked at Bellevue in the high risk gynecology clinics and met two fabulous doctors that I work with now as an attending at NYU Langone. One delivered both of my sons! Why did you choose to specialize? I chose to specialize because I like studying breast disease processes, which can be very heterogeneous. I also enjoy diagnosing and interacting with the patients- both in and out of the operating room. In addition to performing biopsies in the office, I also counsel women about healthy lifestyle choices. I am happy to say they are mostly compliant. No question–that’s a resounding yes. I can think of no better field for me than the one I am in since it combines office practice, longitudinal experiences with existing patients (cancer survivors now live much longer), and surgical experience. I am surrounded by a great group of colleagues that I work closely with. We hold a breast cancer case management conference that I run where we discuss challenging patient cases and have lively conversations about their care. On a less serious note, I know that when I change out of my PJs in the morning I can get back into them when I begin work in the operating room. I still can’t believe that I get paid to have fun! Has being a specialist in your field met your expectations? Why? I really enjoy learning about my patients, their different backgrounds, and attitudes towards their disease. There is a fantastic cartoon of a man who gets the flu and is in bed with a water bottle over his head and a thermometer in his mouth. Next to it is a cartoon of a woman with a new diagnosis of breast cancer taking her kid to school. I admire how brave women are who have a new diagnosis and have to make important decisions – and I love being able to help them make those decisions. One way that this field has exceeded my expectations is the way that the evolution of how patient and their doctors communicate into a dialogue. When I first started it was very paternalistic. Patients didn’t ask questions and looked to their physicians to tell them what to do. What do you like most about being a specialist in your field? Explain. After being in practice for going on 27 years, I am most gratified when I see my patients do well, recovered and living life disease-free. Now, there is a lot of discussion about risk reduction and about the idea of the permanency of being a survivor. This is very different than the early 80s when I started my surgical residency. The disease was diagnosed at later stages and women believed they would not survive their disease. What do you like least about being a specialist in your field? Explain. The paperwork. Learning how to manage the ins and outs of an office is helpful in this regard, and strategies for making it flow efficiently. Describe a typical day at work—walk readers through a day in your shoes. I wake up every day at 4:30 a.m. to read articles and sort through emails. At 5:30 a.m. I go to the gym (three times a week). I’m in the office at 7:30 or 8 a.m., or the OR at 7:15 a.m. And I’m usually home around 7 or 8 p.m. Mondays and Thursdays I am in the OR all day, starting at 7:15 a.m. Tuesdays I have office hours from 7:45 a.m. until 6 p.m. to see patients. On Wednesdays I run a breast conference in the morning from 7:45 a.m. until 9 a.m., and then I have office hours. Fridays I do outreach meetings and planning. Patient hours and sometimes OR are nestled in there. I also run some of the outreach events during the evenings like a survivorship panel, which for me is the highlight of our lecture series. I would say I work about 60 hours a week, but that’s not including weekend phone calls. I try and take one or two vacations a year. I will also go to a meeting once a year either to present or hear what is going on from others in the field of surgical oncology. It is also a way to get reacquainted with peers that I haven’t seen for years. Do you have family, and if so, do you have enough time to spend with them? It’s challenging, but exercising in the morning is important for me. Time management is one of the biggest challenges in our field. When at work, it’s our responsibility to be a good doctor 100 percent of the time, and it’s up to us to come up with creative solutions to get everything done that needs to in a day. I have tried all sorts of things. Some worked better than others. At home, enlist family and friends to help if they have time to do so! Do you feel you are adequately compensated? Explain. Yes. I work hard and cover my expenses. I would recommend a salaried position. You don’t have to count paper clips and can concentrate on delivering medical care. It’s very helpful to work around colleagues, sharing ideas and asking for opinions is a good thing. If you took out educational loans, is/was paying them back a financial strain? Explain. I was fortunate to not have loans from undergraduate school, but I did finance my medical school training on my own. My last loan bill was from the Greater NY Savings bank – back in those days you would send the check in with receipt from the bank, there were no direct deposits. I felt good about paying my way and being able to earn enough to cover rent and other expenses. The last day of my residency coincided with the last day of my payment. What a relief! Though, of course, the charges were nowhere near what they are now. I have many students rotate with me who describe very hefty loans. In your position now, knowing what you do – what would you say to yourself back when you started your medical career? I would tell myself that relationships with your patients will be one of your most valuable experiences. Even though I could not wait to care for my first patient, to diagnose and treat them independent of my training, I never imagined how long some of these relationships would last — I have some patients who knew me when I was pregnant and with toddlers. What information/advice do you wish you had known prior to medical school? I wish I would have known the importance of statistics – I probably would have taken more statistics courses, or at least paid more attention. From your perspective, what is the biggest problem in health care today? Explain. I believe creative ways need to be found to make sure each and every individual has healthcare coverage. Also, public health efforts are more important than ever. Having a knowledge base of global health issues (where skilled health workers are in much demand and a billion people lack access to health care systems), obtaining a Master of Public Health (MPH) will be very helpful in preparing for the future of medicine. If you are offered a combined degree program, I suggest seriously considering it. At NYU School of Medicine we have multiple dual degree options available. Where do you see your specialty in five years? The breast cancer field is evolving. We are getting to the point where we will be able to define a tumor’s behavior before even getting to the operating room. Before even removing the tumor, women will be offered therapies such as chemotherapy and anti-hormone therapy. I started volunteering for grassroots breast cancer advocacy and resource groups in the early 80s, when I became very active as a resident and in my early years in practice. I currently sit on several not-for-profit boards and medical advisory boards and am very active in the NYU School of Medicine preceptor program for first and second year medical students. I work very hard to encourage students to go into the field of breast cancer. Do you have any final piece of advice for students interested in pursuing your specialty as a career? Take a varied approach to rotations, at home, and outside your institution. This is the time to see as much as you can and decide what you like. For instance, when I was training there were no interventional radiology residencies, and I think I would have enjoyed rotating in this area.